Looking for everything you need to get down to work—and the space to actually do it? A mini desktop PC could be the solution you're looking for. 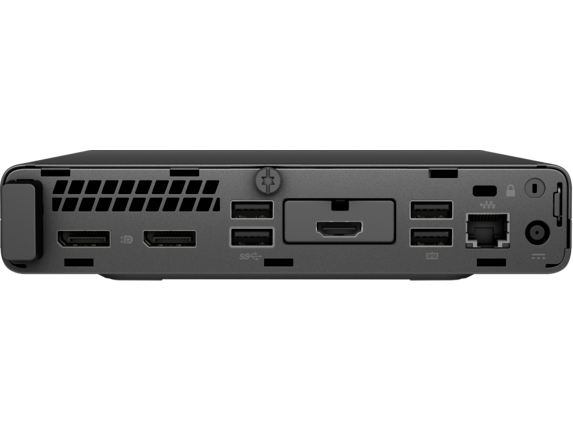 Small enough to fit even the tightest locations and packed with the performance to press forward, the HP ProDesk 400 may just be your next best coworker. 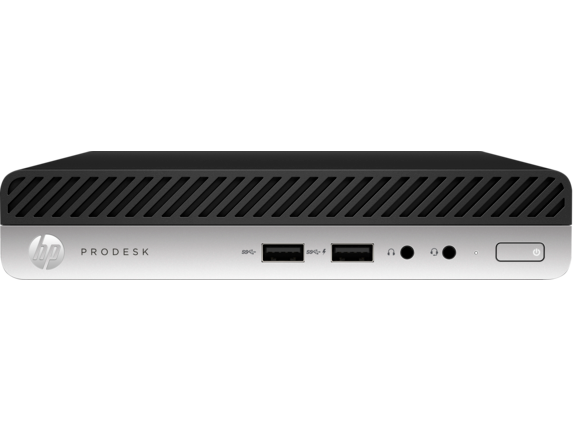 When you're looking for a mini desktop computer, we believe it should be designed to fit your workspace, rather than the other way around. That’s why we made sure the ProDesk 400 Mini is ready to fit into whatever location you call your office. Weighing in at a little more than 2.5 pounds with a size of 6.97 x 1.35 x 6.88 inches, it’s a breeze to move this machine around. You can easily fit into your bag whenever you have to change locations, and you can also fit it onto your desk, no matter how cramped it may be. We know you’ve got a lot on your plate, and on your desk. 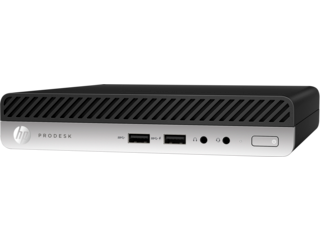 You’ll be pleased to know the ProDesk 400 Mini won’t be adding anything other than the bare minimum size, while giving you everything to reach the maximum performance possible. With 7th Generation Intel® Core™ Processors and up to 32GB of DDR4 memory, your mini desktop computer will have the performance of a computer much larger than the area it’ll occupy in your workspace. When you add Intel® Optane™ memory into the mix, your everyday computer tasks will seem to go by a whole lot faster. Whether you’re opening a large piece of media, loading something new, or just clicking around, you’ll see a boost that will show you just how quick your HP desktop mini can get. If you need the right drive to store all of your hard work, we have the expandability to cover what your situation requires. From a 256GB SSD to a 1TB HDD, you’ll have the space and speed to match your budget, and whatever the job calls for. You may be taking your mini desktop PC with you from office to office, or office to home. No matter where you are, you’ll be prepared. With I/O port configurability, you can adapt to the display you want to use with your PC, wherever that display may be. Choose between VGA, DisplayPort™, HDMI or Serial Type C™ options to find the perfect match so you can see your computer on the screen that fits your needs. We know what you actual see on your display is of equal importance. With Windows 10 Pro, you'll have the operating system to complement your work, and make the most out of however you choose to use your device. With a virtual assistant in Cortana and all of the business features you need, you'll be set up for success. In addition to the power that comes with your miniature PC, you’ll also be getting the security you need to stay protected. With HP BIOSphere Gen3, you can keep your system safe and secure at a firmware-level with automatic updates, so you’re never caught off guard. 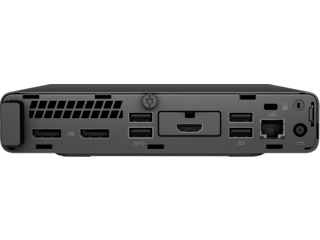 HP Client Security Suite Gen3 provides you with features that include HP Multi-Factor Authenticate, HP SpareKey, HP Password Manager, and HP Device Access Manager. This gives you all the layers of security you need to keep your PC, and everything important inside it, from falling into the wrong hands. While your system is protected with top-level tools, your hardware will be protected with the durability you’ve come to expect from HP. After undergoing 120,000 hours of HP's Total Test Process, you’ll have a computer built to withstand extreme situations—and a little bad luck—in whichever form it may take. 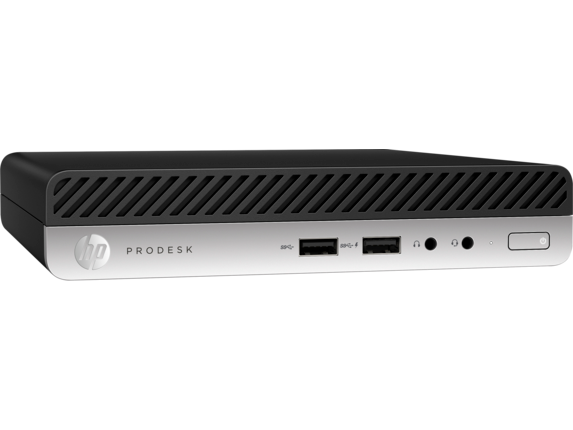 With the security to keep your hard work safe, the power to help cross tasks off your list, and the size to give you all of the space you need, the HP ProDesk 400 is a mini desktop PC built for how you work now and well into the future.